Ever wondered who trumped your eBay bids? All is revealed! 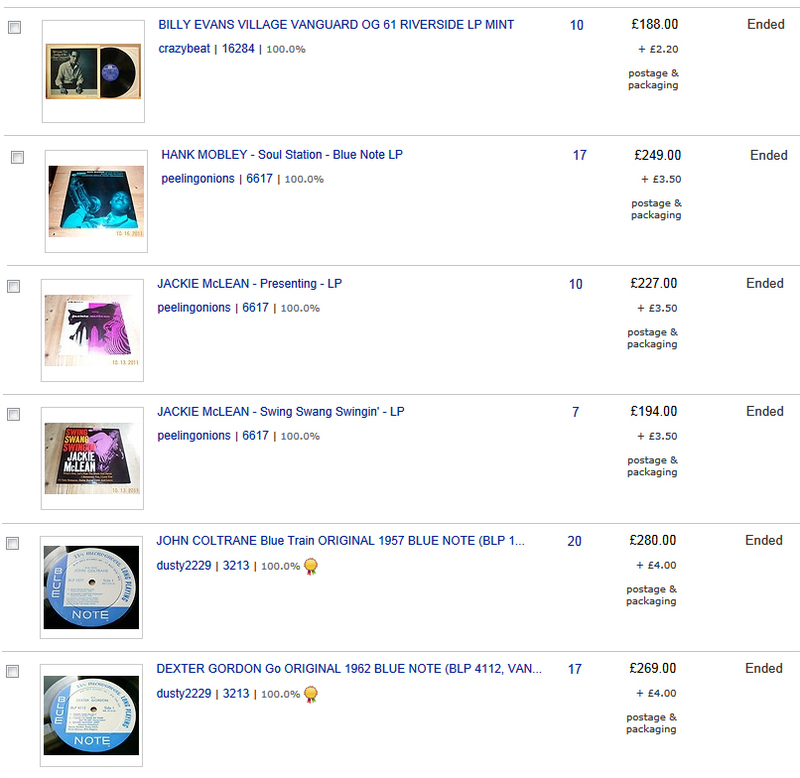 Ebay record auctions are a measure of the world’s pulse on collectible jazz. Three or is it now seven trillion people on the planet, and only a few hundred collectors and traders in the whole world set the current “going rate” and confirm how desirable some of these records are. A handful I was bidding on all went through the roof. What would have sold for £100-175 a few months ago seems to have risen to now £200-275. Ebay allows you to check back on the location of auction winners via the feedback listing of sellers. In the past when I have followed up high prices in Blue Notes the South East Asia connection has been strong. Japan, South Korea and Taiwan. This time my interest picked up, in addition to our German friends (lots of “Musik” in the history) an unexpected number of Russian Federation buyers, and damn it, UK audiophiles (buying history includes lots of tubes and components) . I guess if you are going to spend £20,000 on a turntable, £250 on record is no big deal. While the whole world is downloading and sharing for free, those of us who want “the real thing” are going to have to tighten our belts, remortgage the house, or just turn our sights on the “less collectible”.